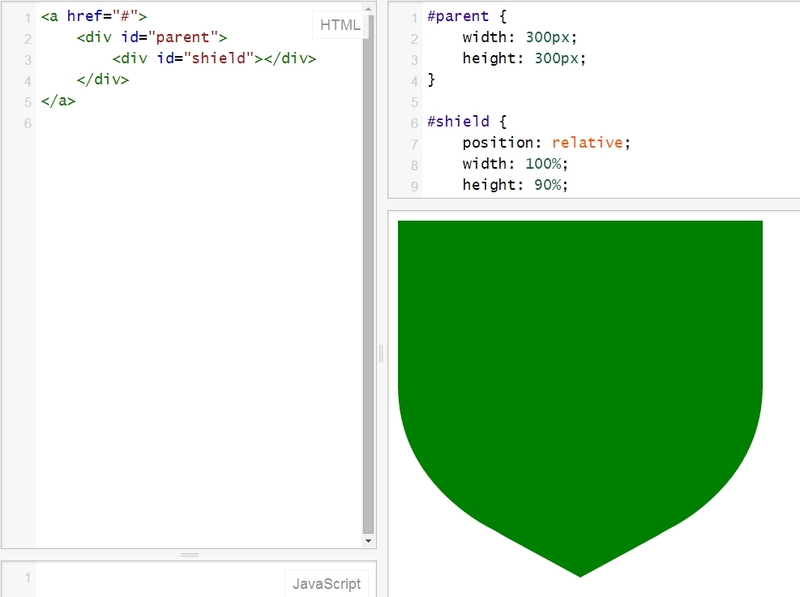 There are CSS shield shapes out there and I based my solution on this CSS shield: http://jsfiddle.net/isherwood/2v2wM. No point in reinventing the wheel, as they say. The problem with this shape is that it’s put together using fixed sizes which isn’t very practical for the responsive world we live in today. So I converted everything in to percentages and made it fully responsive. The end result can be seen here: http://jsfiddle.net/seanmacentee/2v2wM/36/. All you gotta do is set the parent / container size and the shield will scale up and down to match. 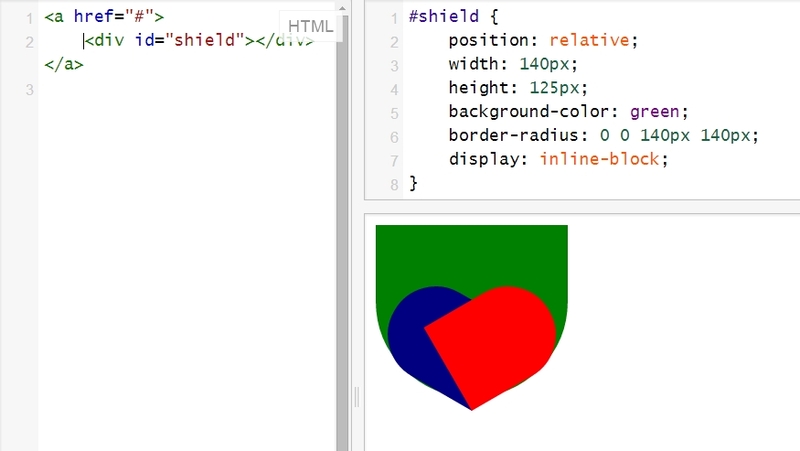 This is more of a ‘classic’ shield shape… you could take it further but it’d require more work and if you’re looking for a responsive solution, you probably don’t want to make the shield too complex as detail will be lost at small sizes.